Construction companies are increasingly looking for employees to have well-honed commercial skills to produce success for the business. This courses covers what every contractor or construction professional needs to know about managing quality, time and money in building contracts. Nigel Clayton provides in house and external full day seminars in a variety of construction related topics. His delegates have included local & regional contractors, sub-contractors, developers and specialist trades as well as construction professionals such as architects, surveyors and engineers. He has also represented parties in adjudications and procured tenders for rail projects on behalf of Chiltern Railways amongst other works. 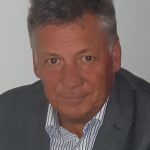 Prior to establishing his own successful consultancy, Nigel has enjoyed senior positions with both contractors and consultants. A wide experience in the construction sector both internationally and across the UK provides Nigel with the practical and anecdotal references he uses throughout his training. Nigel has also had significant success commercially managing projects and teams in the infrastructure sector. 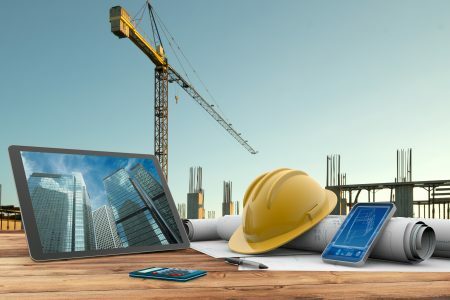 In construction, commercial management refers to the application of skills to maximise business potential by ensuring the successful management of the project’s finances, procurement and the processes that can impact upon a project’s profits, timescales and quality. construction projects. Featuring references to publications JCT 2016 and NEC 4 as well as references to recent case law, delegates will be well prepared for the day to day actions of commercial management. Beginning with contract formation and design management processes, and then looking at best practice in the management of financial, time and quality mechanisms, the content covers all the principle matters arising in construction projects for both the main and subcontract. Using key industry insights from a highly experienced professional this course will provide delegates with tools and skills to enable them to recognise and understand critical commercial issues and how to deal with them. This course is suitable for Construction Managers, Project Managers, Contract Managers, Quantity Surveyors, Estimators, Contract Administrators, Employers Agents, and Consultants in both pre and post contract roles. You should have a few years to significant experience in the construction sector. Ideal for those seeking to advance into new areas of commercial awareness. Recognise the necessity for contracts and manage the contract formation. Identify where pitfalls in contract formation arise and learn how to avoid them. Identify the meaning and the responsibility for design and the management of design development. Manage other direct contractual processes such as subcontracts, collateral warranties, bonds, parent company guarantees and the like. Demonstrate a clear understanding of the principles forming the foundations for claims relating to core topics of payment, delays and change. Successfully manage the commercial needs of a project.